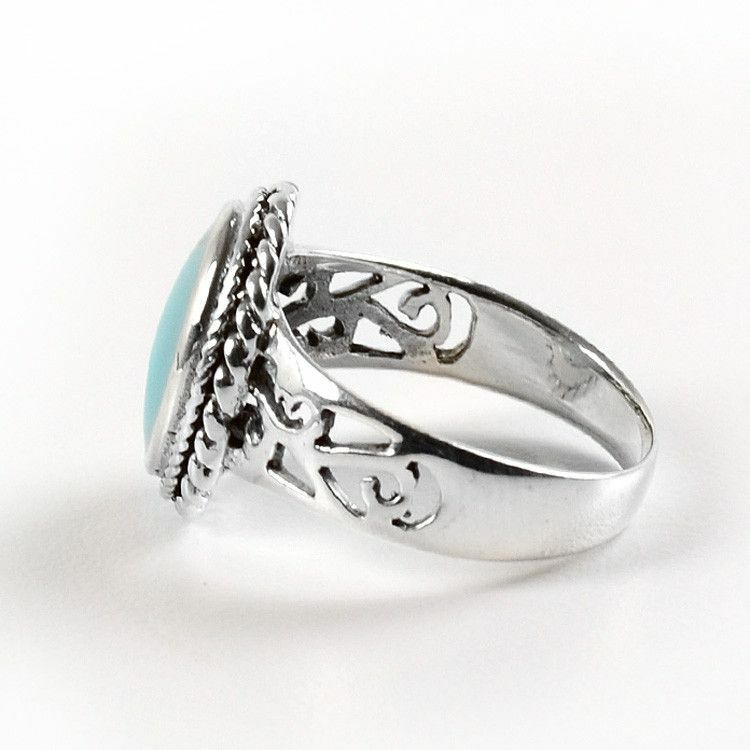 This ring brings fashion, beauty, and comfort all together! 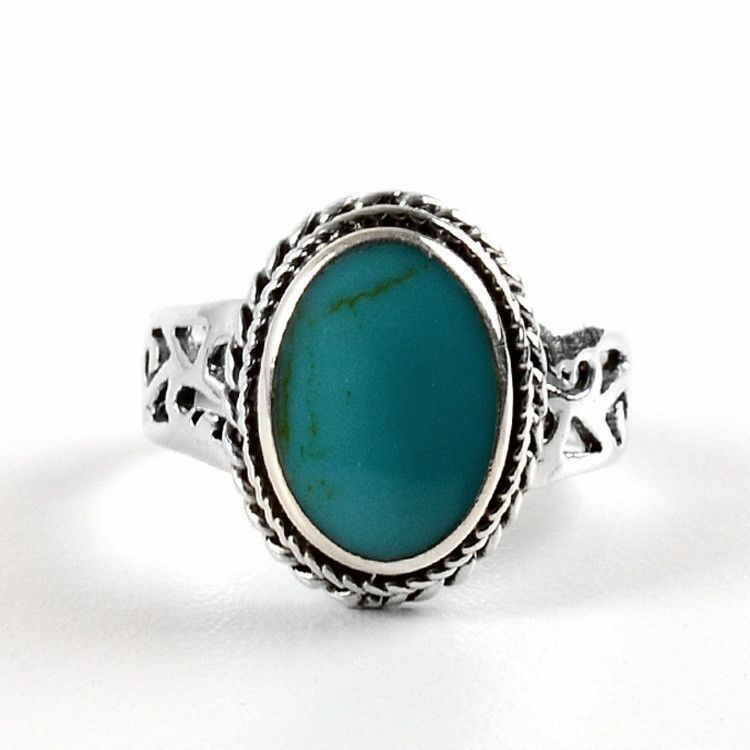 A fascinating 1/2" x 3/8" natural turquoise stone is set in stylized sterling silver. The ring is somewhat flat, making it easy to wear for absolutely anything! 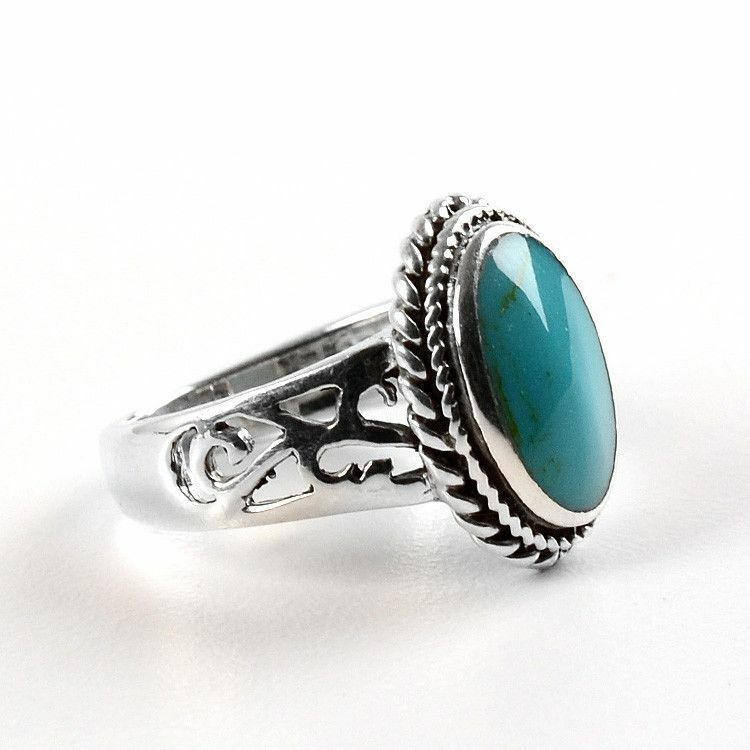 After a few wears, you will see how essential it is to have a comfortable turquoise ring in your jewelry box! Each stone is natural, contains different amount of "veins," and looks a little bit different from the next. Yours may vary slightly from the one pictured here. Center stone is about 1/2" x 3/8"